Also known as "word smart", learners who enjoy using a linguistic multiple intelligence lens display a facility with words and languages. They are typically good at reading, writing, telling stories and memorizing words along with dates. They tend to learn best by reading, taking notes, listening to lectures, and discussion and debate. When presented with a challenge in a weaker area of multiple intelligence, encourage your child to think about activities or ways that can link these weak areas to their strongest multiple intelligences. Parents and extracurricular mentors that “think” like your child can help them start to approach school in general from a narrational tact. For instance, telling a child who enjoys using their linguistic multiple intelligence "mind muscles" the story of how a plant goes from seed to germination to shoot to leaves to fruiting and, once again, to seeding can help them better understand botany in a context that comes naturally to them. 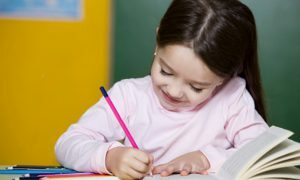 Acting, debate, creative writing, poetry, language classes help kids with an interest in the linguistic multiple intelligence to develop this innate strength. This being said, each person has the ability to develop all eight multiple intelligences so even if your child is strong in the linguistic multiple intelligence department, don’t fall into the trap of focusing all of your energies in one area and excluding the others. Rather, use your child’s innate multiple intelligence preferences (most likely more than solely language!) to approach challenges they may be having in weaker areas so that you can more effectively nurture a "whole" child. Be sure to get a feel for how your child feels about a class you’ve selected for them by tuning into their spirit before and after class. They should have incredible energy, a positive attitude, a "present" focus (living in the moment), and a high level of self-esteem when talking about the class. If the class is not a good match for them, you’ll find more than just a resistance to go…your child will be irritable, make physical complaints or be asocial. They’ll drag their feet to go and be the first one out the door after the class is finished. If the teacher will allow it, it’s a great idea to audit the class with your child prior to enrolling—and pay attention to more than just what happens in the class…be aware of how your child is feeling and acting both before and after it. How Word Smart Is Your Child? By learning more about both learning and play behaviors of your children with regard to their multiple intelligence preferences, you will be better able to teach and parent in a way that celebrates and embraces your child's personality type, multiple intelligences and learning style, as well as help teachers, tutors and mentors understand how to make your unique child's seeds of potential blossom. Take our award-winning preference profile and unlock the keys to your child's potential now! Descriptions of each MI type have been excerpted from Wikipedia definitions. Recommendations for difference in approach to subjects your child finds challenging in a traditional curriculum: Gardner, et. Al.,Multiple Intelligences: New Horizons in Theory and Practice. (2006). Basic Books. Extracurricular recommendations have been extrapolated from Thomas Armstrong’s large body of work, specifically In Their Own Way. (2000). New York: Penguin Putnam.